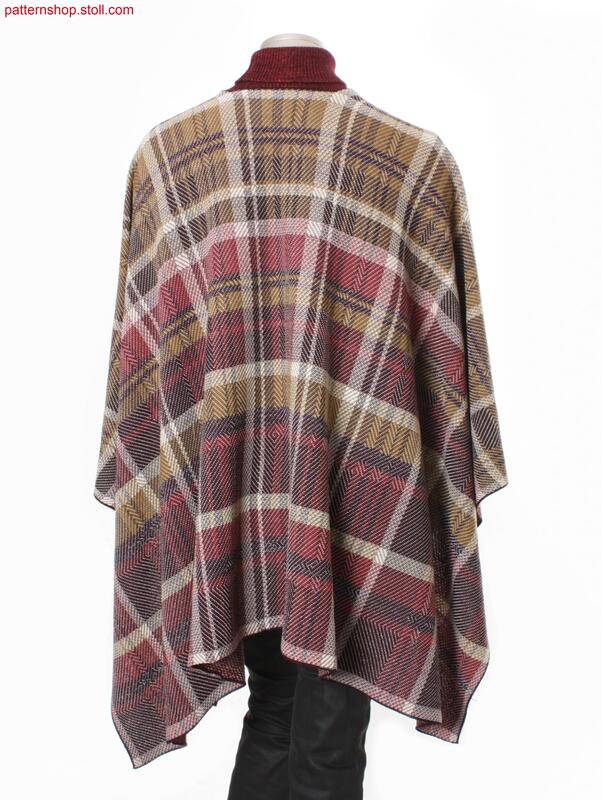 Poncho with woven-like tartan pattern in 3-colour (using 5 colours) jacquard transfer structure. 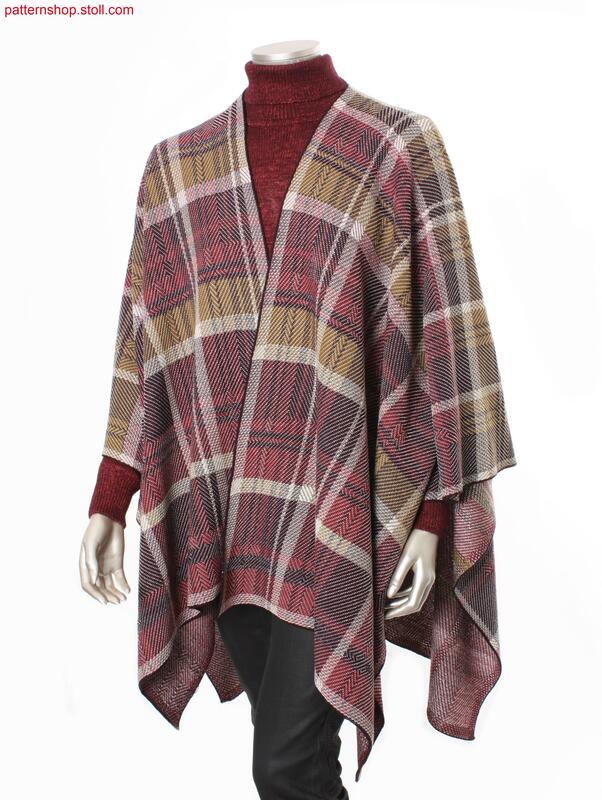 Poncho mit webähnlichem Tartanmuster in 3-farbiger ( 5 Farben)) Flottjacquard-Umhängestruktur. 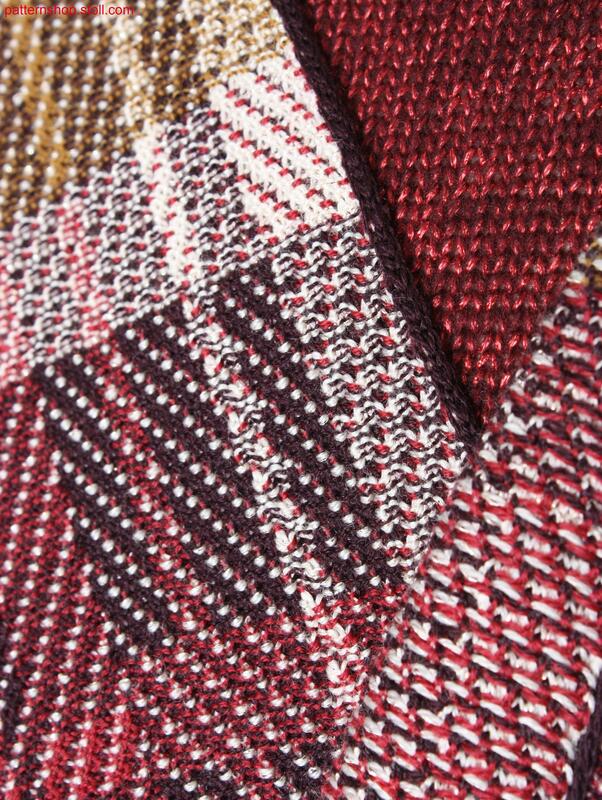 1 knitted fabric(s) / Strickteil(e) 103 min. 29 sec. 1.00 m/sec.